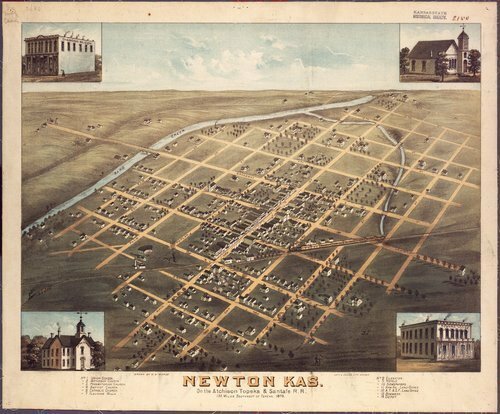 A colored lithograph of Newton, Kansas. The map shows Newton located on the Atchison, Topeka & Santa Fe Railway line, 135 miles southwest of Topeka, Kansas. The lithgraph shows the location of buildings, churches, hotels, railroad, and river. A legend is provided to identify some of the buildings.